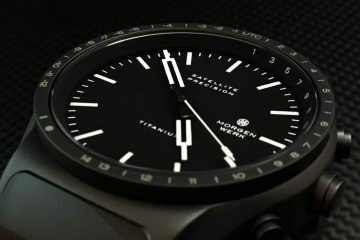 I’ve always said that it must be hard to start a new watch brand, not just on the financial side but also because of design. 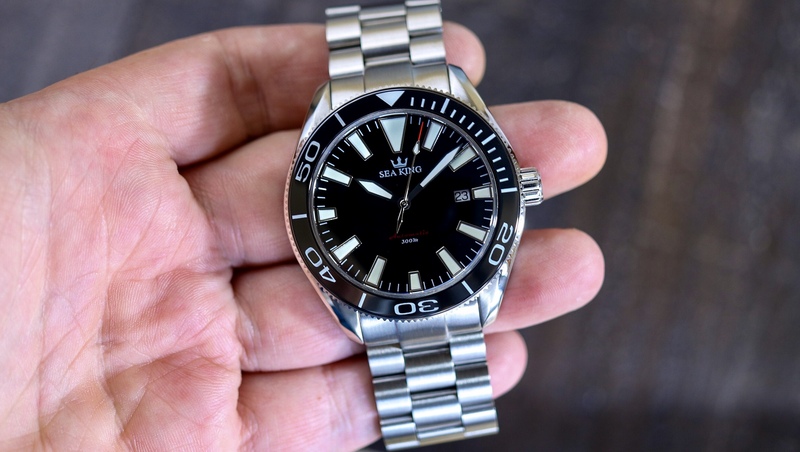 So many people say they want something different, then they see the price tag and claim that is outrageous. 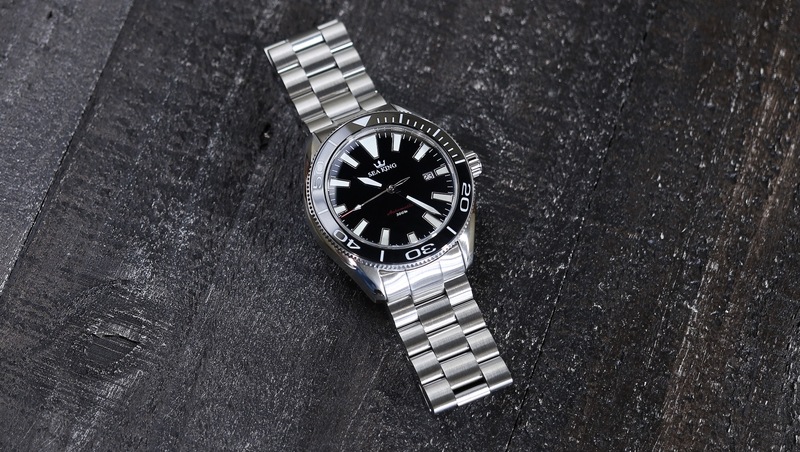 So then we come to the homage side of thing, and we all know how many out there are vocal about not liking homages. 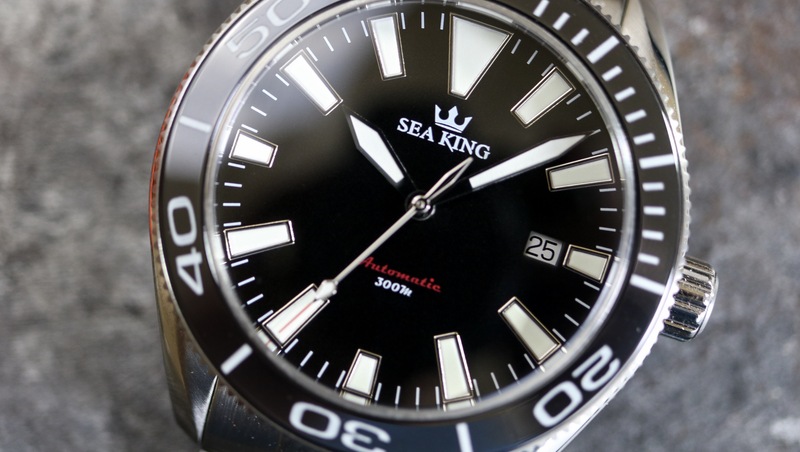 I have my own limits on homages but the Sea King SK-1 is a nice blend of inspiration without being a total copy. 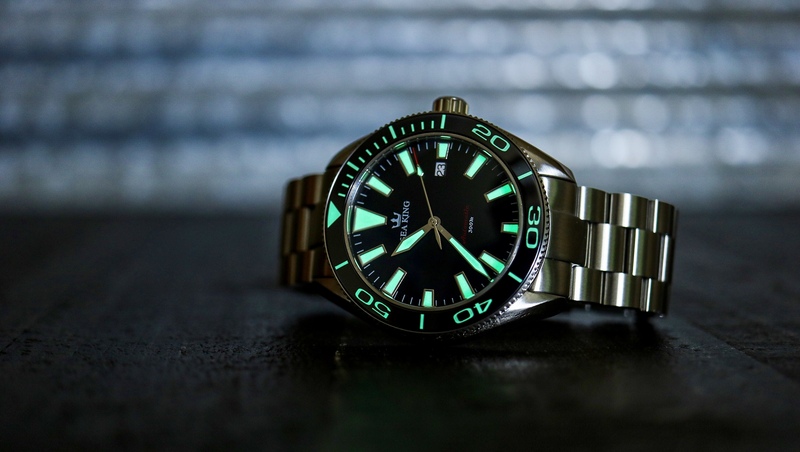 Most watch guys will see a slight resemblance to the Omega 2254. 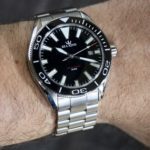 And yes, at first glance, it does remind you of the Omega, but when you really look at it and compare to the Omega, there are a lot of differences. 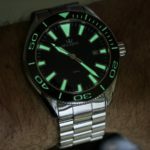 I am not going to do a side by side comparison against the Omega because I do not have an Omega 2254 sitting beside me. 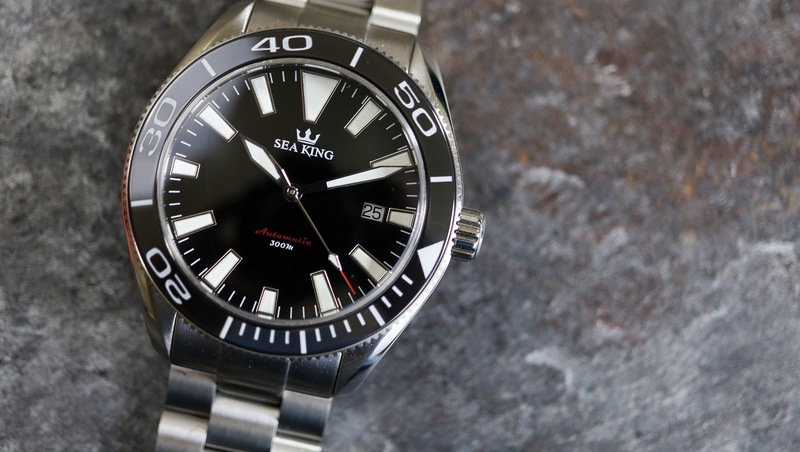 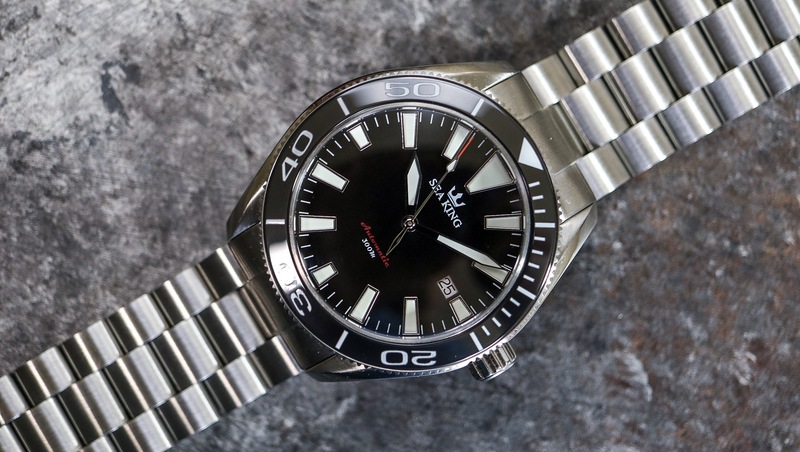 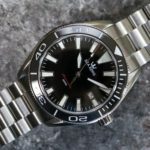 As I said, at a quick glance, mostly because of the bezel font and lugs, the Sea King SK-1 resembles the Omega, but really that’s where the similarities end. 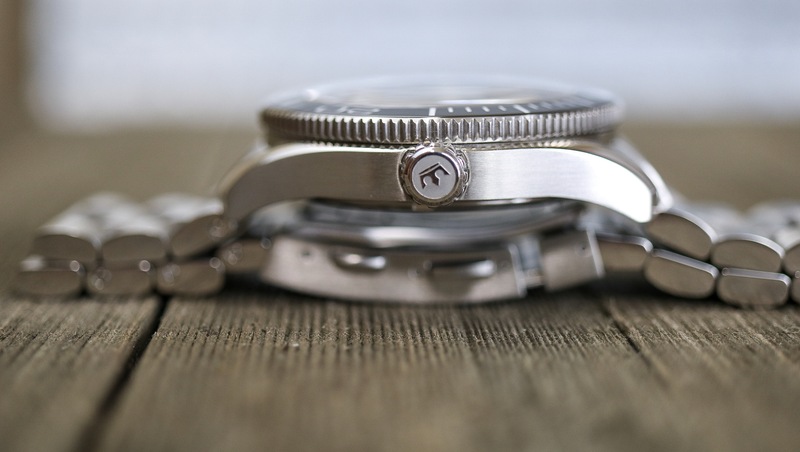 The hands and markers are different, the bracelet is different, the case size is larger, it does not have crown guards nor does it have a helium release valve on the left side of the case and it has a coin edge bezel rather than the scalloped edges on the Omega. 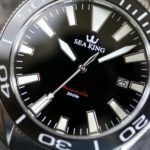 They really are two different looking watches and the Sea King is what I would call a true homage in that it is inspired in look but is not a copy at all. 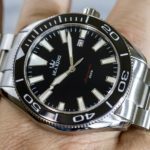 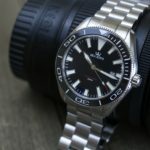 It is not trying to be an Omega in my opinion, but rather a classy dive watch at a good price. 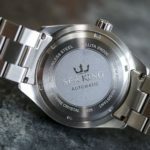 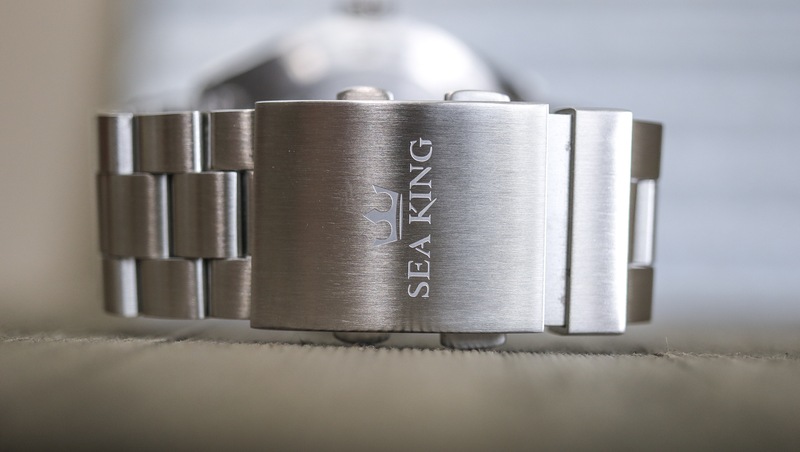 On the Sea King website, it states “We wanted to create a watch you could wear with a suit and tie, or wear it at the beach and look great doing it!” I would say that is a fair statement. 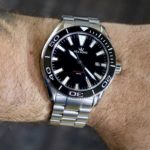 These days, that could really be most watches as we see guys wearing all types of watches with suits, but if you wanted to wear something more traditional without wanting to wear a standard dress watch, this would fit the bill. 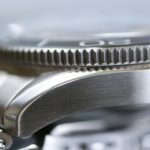 At only 13mm thick, it should still be able to fit under a shirt cuff and with the black dial and white markers should match most anything. 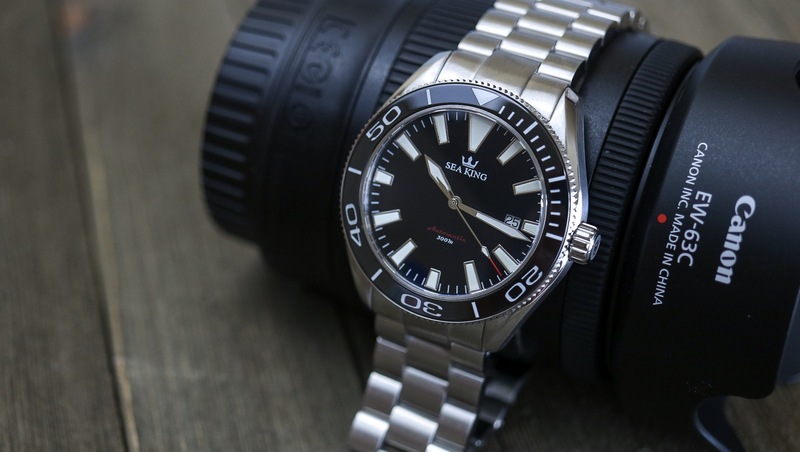 Being a dive watch with a mostly all brushed surface, it will not look out of place with jeans and a t-shirt either, and of course will be right at home at the beach. 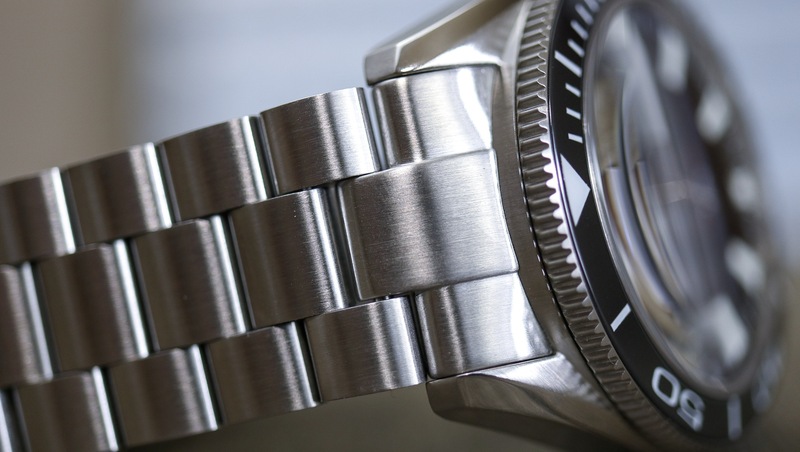 Here is a look below on my 7 1/2″ wrist. 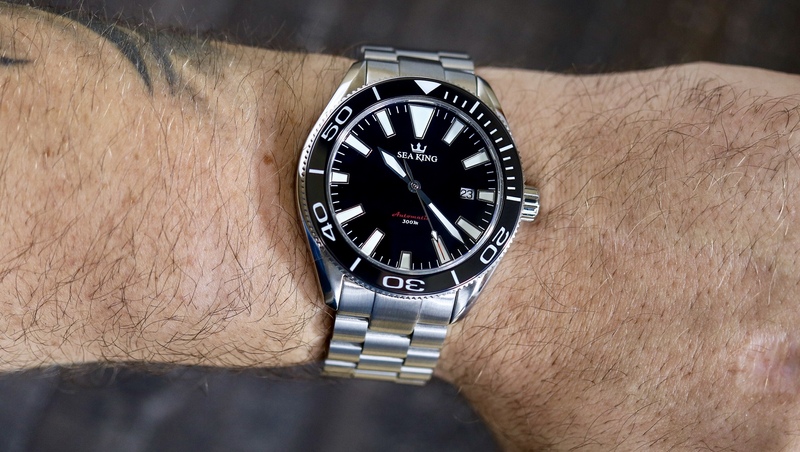 It looks good on my wrist, especially when I go and look back at in photos, and the relative short lug to lug distance keeps it from being too large, but I still think, for me, I would love this even more at 42mm. 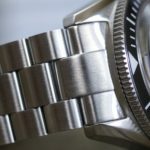 Since the lugs are 22mm as is the entire bracelet including the clasp., it does wear a little a little wide. 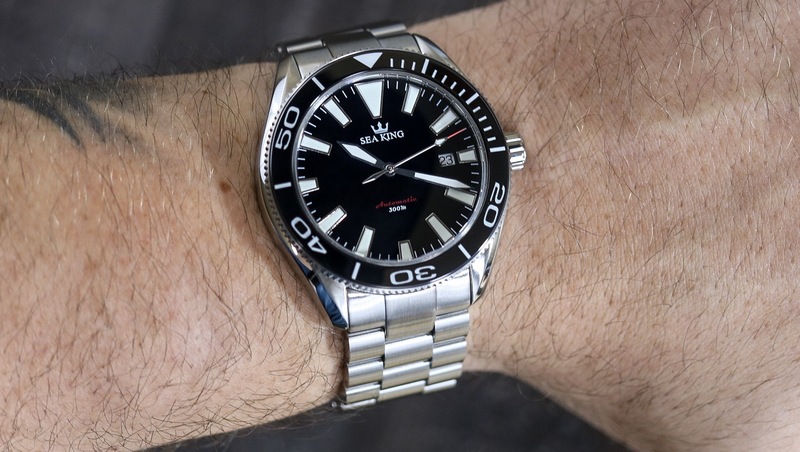 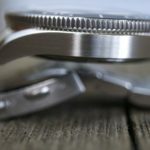 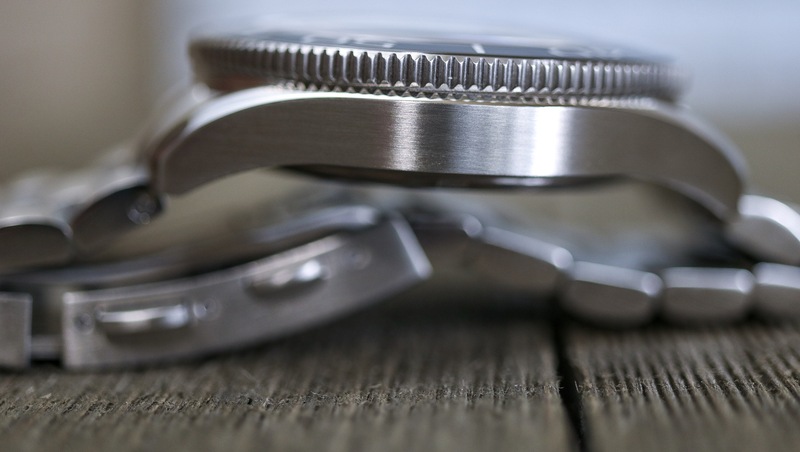 As I stated in the video, had the bracelet been tapered and had a regular flip-lock dive clasp as opposed the ratchet dive clasp, it may have slimmed the watch down a bit. 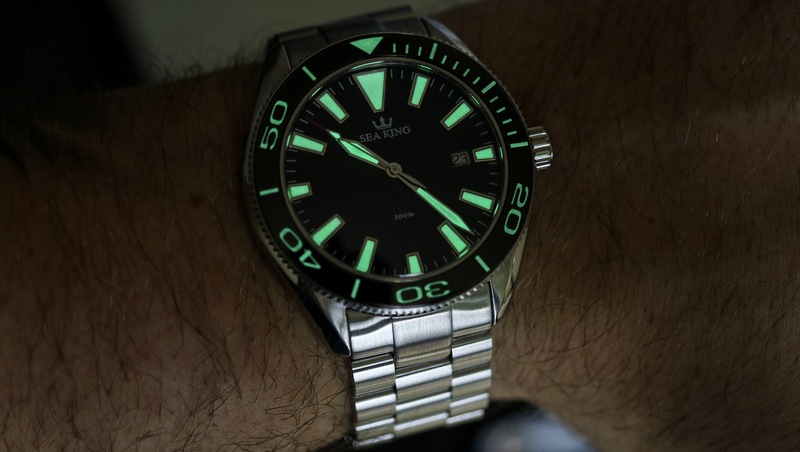 For those wondering about the lume, check out the photo below. 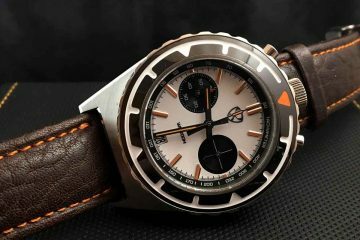 The movement used in the SK-1 is the Sellita SW200, the same movement used in many Oris watches and quite a lot of brands these days. 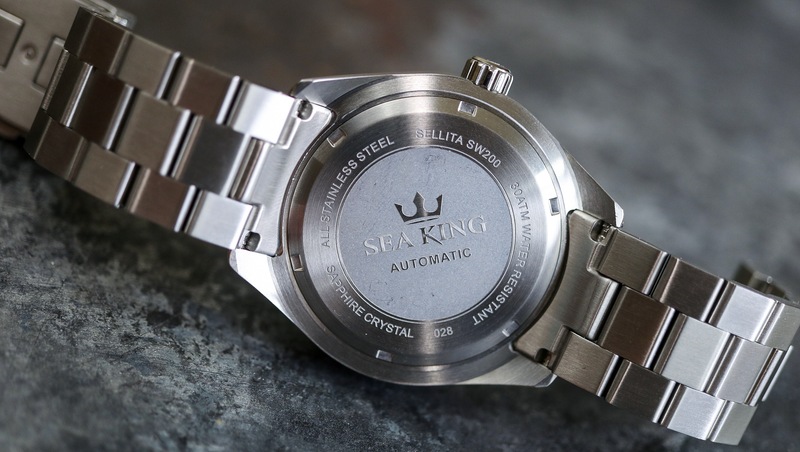 I am not sure if Sea King is doing any regulation on these, but I was seeing about -4 seconds a day, which is not bad at all. 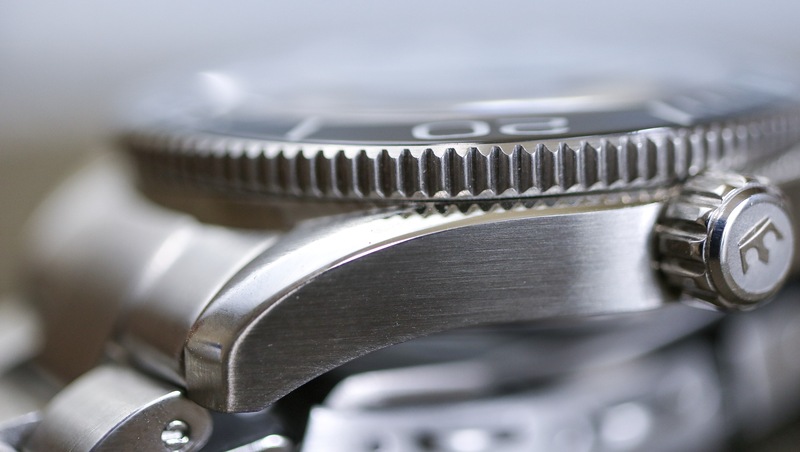 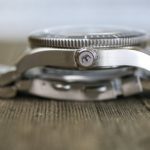 Keeping with a true dive watch theme, you can not see the movement as the SK-1 has a solid case back. 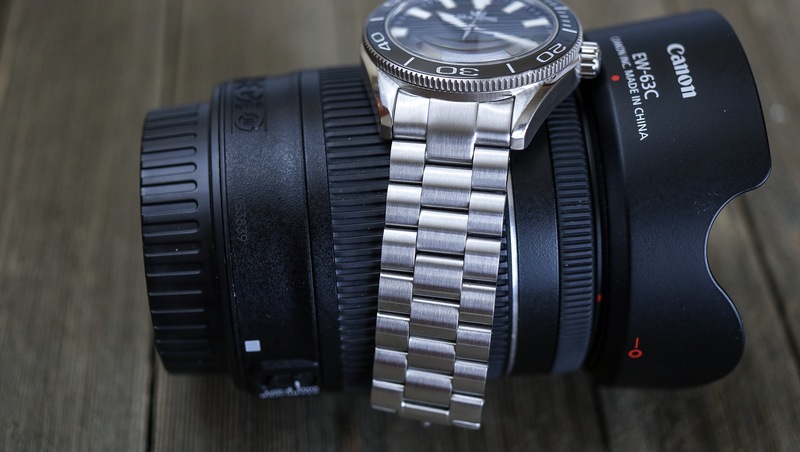 It is nothing flashy or outlandish, but it gets the job done. 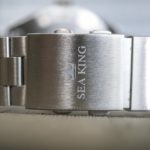 As with many microbrands, the Sea King SK-1 is not reinventing anything or disrupting the industry. 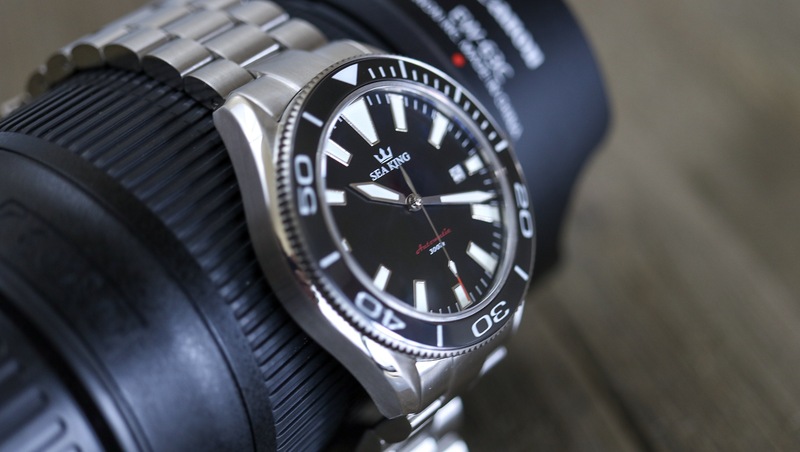 The SK-1 is a nice diver in a sea of dive watches available. 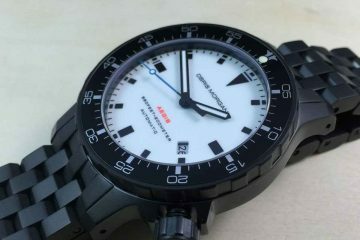 The first batch is limited to 100 pieces, but they are not a limited edition, rather that was just the first production. 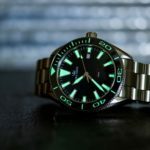 If they are successful they will produce more, and I believe there is a blue dial in the works. 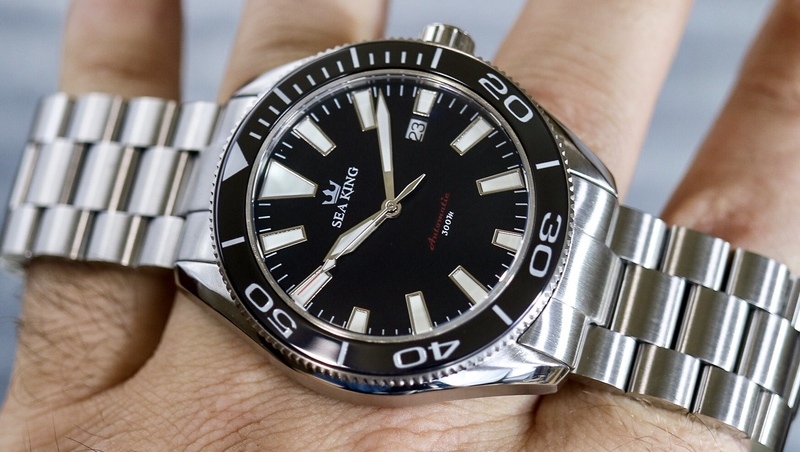 This is a very nice offering in my opinion. 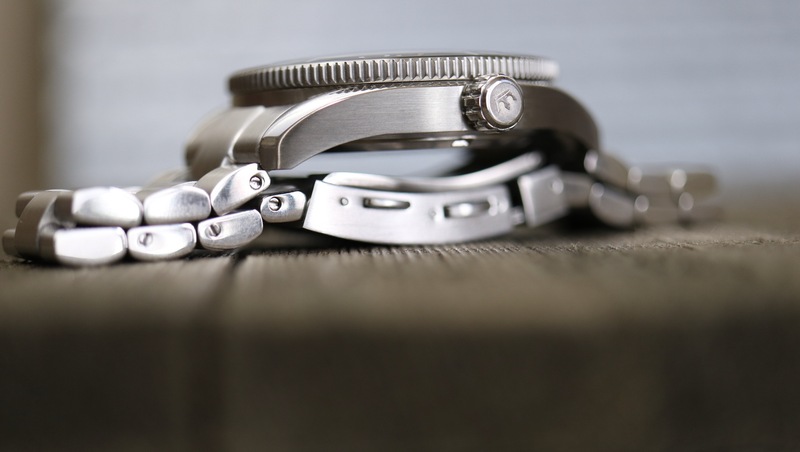 It has a good movement, a nice case, and bracelet, the finishing is above average and it all just works together. 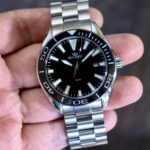 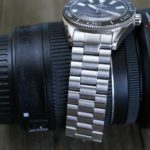 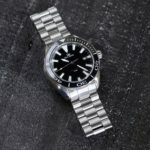 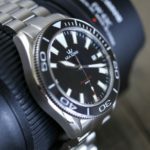 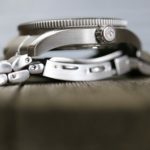 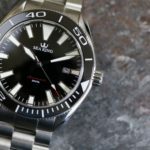 The SK-1 is a darn nice watch and while it may not stand out with all the other offerings available, if you are a fan of dive watches and like micorobrands, you would probably enjoy having this one on the wrist.